U.S. Secretary of State John Kerry and Russian Foreign Minister Sergei Lavrov (R) at the meeting in Geneva, Switzerland where they discussed the crisis in Syria on Sept. 9, 2016. After 14-hour-long talks in Geneva, Russian Foreign Minister Sergei Lavrov and U.S. Secretary of State John Kerry announced that an agreement for establishing a ceasefire in Syria has been signed. It could be described as a breakthrough in “a deal on Syria.” However, because of a large number of players in the conflict, nobody can give a full guarantee that the deal will be implemented. Moscow and Washington have developed a joint plan for resolving the situation in Syria, according to U.S. Secretary of State John Kerry, who announced the breakthrough at a news conference after hours of talks with his Russian counterpart Sergei Lavrov. According to the U.S. secretary of state, Syrian leader Bashar al-Assad's air force should call off all military action, including air strikes, in order to stop the spread of violence, and because “indiscriminate” bombing causes civilian suffering. The plan envisages a complete cessation of hostilities, including of air strikes, Kerry added. The two ministers urged the sides in the conflict to join a ceasefire starting from Sep. 12. Kerry said that if the ceasefire holds, Moscow and Washington will continue to deliver strikes against terrorist forces. For his part, Lavrov, said that the signed deal was a package of five documents, without however listing them all. The documents envisage the establishment of a joint center for separating Syria’s moderate opposition from terrorist groups. The deal, which resulted from several years of protracted talks between representatives of the two countries, can be considered a real breakthrough. There were indications that the marathon talks might bring success: News agencies reported that the diplomats had offered pizza and vodka to journalists. The pizza presented to Russian journalists came from the U.S. delegation, while the vodka came from the Russian delegation, according to Lavrov. Can Russia influence the U.S. elections? Shortly before the start of this round of talks, the U.S. had switched to a language of ultimatums, describing the meeting as the last chance to reach an agreement and saying that the deal should be made on Washington's terms. Until the very last minute it was not clear whether the sides would reach an agreement as Kerry engaged in lengthy consultations with the White House, while Lavrov even said that the talks might continue into the next week. The deal, if it does indeed satisfy both parties, may deliver a drastic change in the Syria campaign – a united front against terrorist insurgents may emerge. For their part, the Russian authorities said that a joint “counterterrorist operation” with the U.S. was possible only if Washington could separate units of “the moderate opposition” from units of jihadist organizations, such as Jabhat Fateh al-Sham, previously known as Jabhat al-Nusra. Moscow even suspected Washington of seeking to use those groups to topple the Assad regime. Earlier, the U.S. declared that it needed just two weeks to resolve the Syria issue. At the same time, Assad has more than once made a public show of his disagreements with the Russian leadership as regards military action. The Syrian president, who is receiving military support from Tehran and Moscow, is trying to show to the public at home that it is he who is in charge. It is worth noting that the deal between Moscow and Washington was reached shortly after involvement from Turkey, which had started its own military operation in Syria, blocking Islamist action from the side of the Turkish-Syrian border in the province of Aleppo. Iran also plays an important part in the conflict as its Shia militias are fighting alongside Syrian government troops. 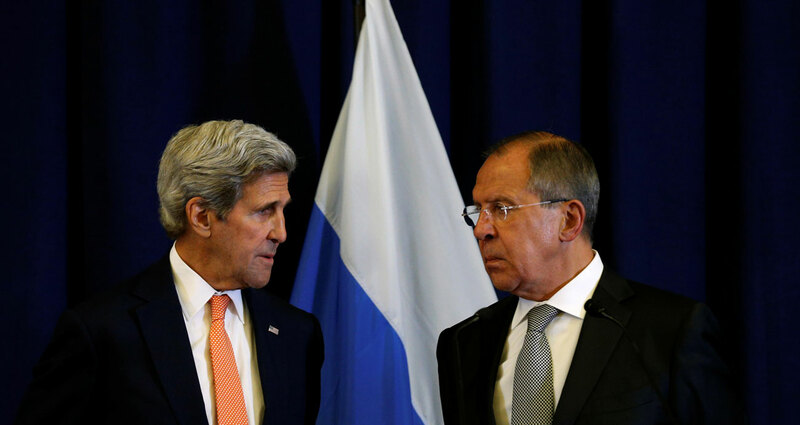 It is so far unclear what Tehran's reaction to the Russian-U.S. deal on Syria will be. Moscow and Washington had already reached a Syria ceasefire agreement, back in February, but it did not remain in force long. The new deal may end up likewise, warns a leading analyst with Washington-based Gulf State Analytics Theodore Karasik. He points out that a definition of who is an extremist and who is not still matters.